The Morning Star Estate on Victoria’s Mornington Peninsula is up for sale, with offers in excess of $30 million expected by the appointed agent. This comes at a time when the Australian luxury property market is starting to come under pressure amid concerns about mortgage delinquency levels. Many believe the recent slowdown in luxury property in Australia is a short-term issue and the market will return to its long-term uptrend. However, will the Morning Star Estate really be this year’s most sought-after luxury investment? This is a property which has featured in an array of TV programmes such as Kath & Kim, Kath & Kimderella as well as Partisan, an Australian movie from back in 2015 starring French star Vincent Cassel. Many of the luxury estates going on sale around the world today tend to have an entertainment/TV angle and once you get a glimpse of what is on offer it is not hard to understand why. What do you get for $30 million plus? Before we even begin to look at the properties themselves the Morning Star Estate delivers breath taking views overlooking Port Phillip Bay. As you might guess, within an estate which covers 63-hectares there is also more to offer with views over the Bellarine Peninsula as you look out towards Melbourne. However, there is not everything! There are an amazing 75,000 rosebushes in the gardens of the Morning Star Estate not to mention the 12-hectare vineyard containing Pinot, Chardonnay and Cabernet grapes. You will also look out onto your own orchard, olive grove and grazing pastures as far as the eye can see. When you bear in mind this is before we even look at the hotel development it is not difficult to see why it has been tipped as the must have luxury property for 2017. At this moment in time there is already a 20-room hotel although there are plans to introduce a luxury 72-room hotel on the site. When you consider that other luxury properties in the region have recently sold for anywhere between $37 million and $60 million, you are certainly mixing with money. The local authorities have also spent a significant amount of money upgrading the local infrastructure and transport network which certainly plays into the hands of a would-be investor. While Australia has depended upon the commodities markets for some time let’s not forget it is also a magnet for worldwide tourists. In some ways luxury properties of this nature are often insulated from volatile property markets because they do not come on the market very often. 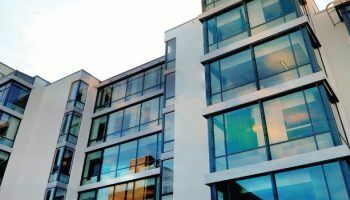 Therefore, those with sufficient capital to both buy the property and build on the current hotel plans will be looking longer-term for their return. The Australian property market has come under pressure over the last few months with many experts continuing their trash talk. Many people forget that Australia has not experienced a recession for more than 20 years and is currently targeting the Dutch record for the most years without a downturn. This is the main reason why the Australian property market, particularly luxury property, has remained buoyant. Will the resolve of long-term investors be challenged in the short term?